Iwobi Plays For 23 Minutes As Arsenal See Off Napoli. 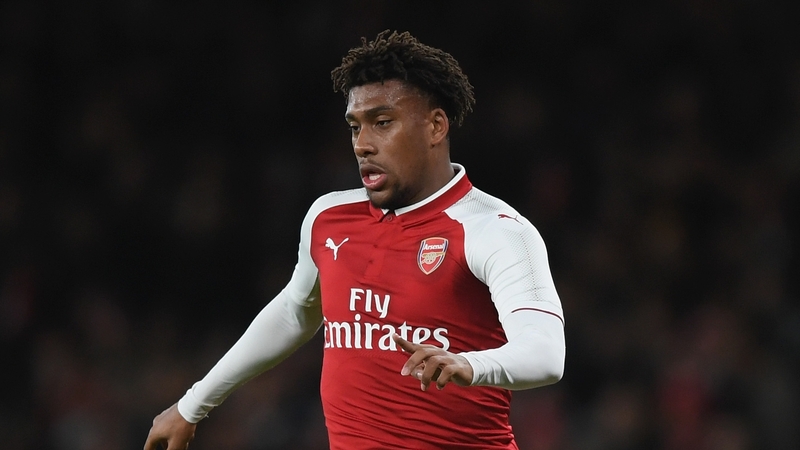 Arsenal manager, Unai Emery made sure his side were in the driving seat before bringing on Alex Iwobi as the Gunners defeated Napoli 2-0 in the first leg of their Europa League quarter final tie at the Emirates on Thursday. Iwobi was a 67th minute substitute for Alexandre Lacazette as Arsenal made five changes on the back of their 1-0 loss to Everton last Sunday in the premier league. The Nigerian who was rated above average against Everton was penalised for pushing Elseid Hysaj in the 80th minute by Spanish referee Alberto Undiano . Arsenal’s goals were scored in the first half with Aaron Ramsey drawing the first blood in the 14th minute, which was followed up 10 minutes later by an own goal from Kalidou Koulibaly after he got in the way of Lucas Torreira’s off-target shot. The hosts had chances to score a third and effectively kill off the tie but missed their chances. Napoli despite their below-par performance occasionally threatened the Arsenal defence as they searched for the crucial away goal. The only goal scoring opportunity for the Naples side came in the opening 45 minutes when through Jose Callejon. The return leg comes up in a week’s time in Italy.